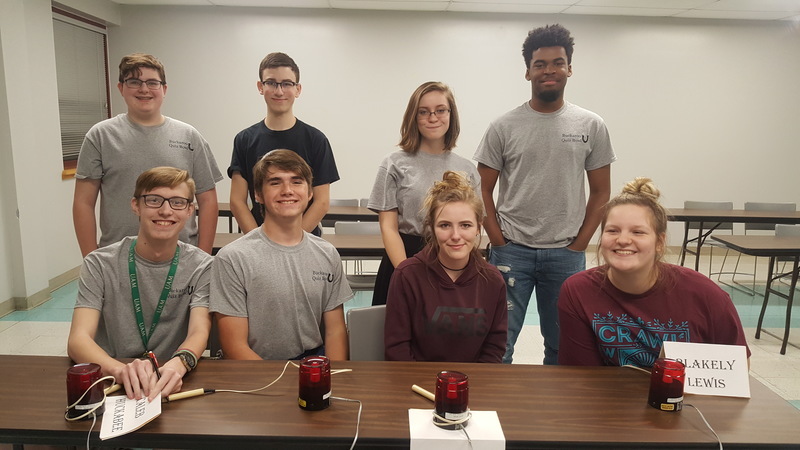 Congratulations to the SHS quiz bowl team for their win at the Camden Rotary Quiz Bowl Tournament Thursday night at SAU Tech. Students split into two groups for the tournament. Students played against other area high schools, as well as Camden businesses. Team 2 members played against members of Farmers' Bank in the final round to win the tournament. 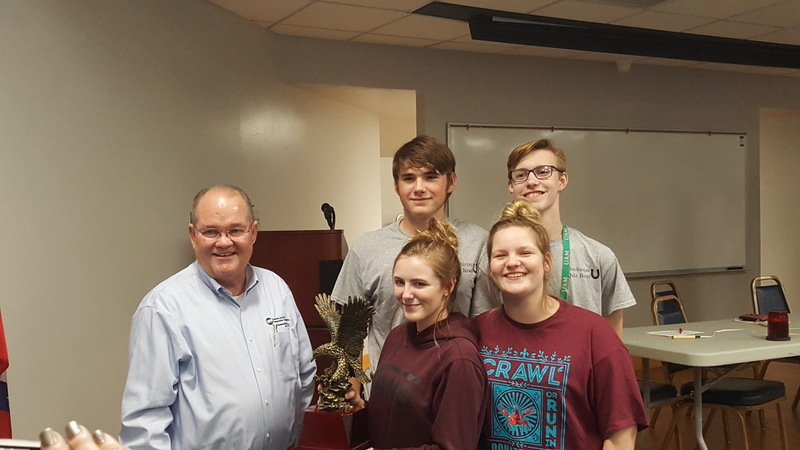 The big winners were the Smackover 2 team (front row): Caleb Huckabee, Joel Brewer, Aubrey Hargett and Blakely Lewis. The Smackover 1 team (back row) included Ty McCurry, Isaac Woolen, Kayleigh Yeager and Taylor Harris.